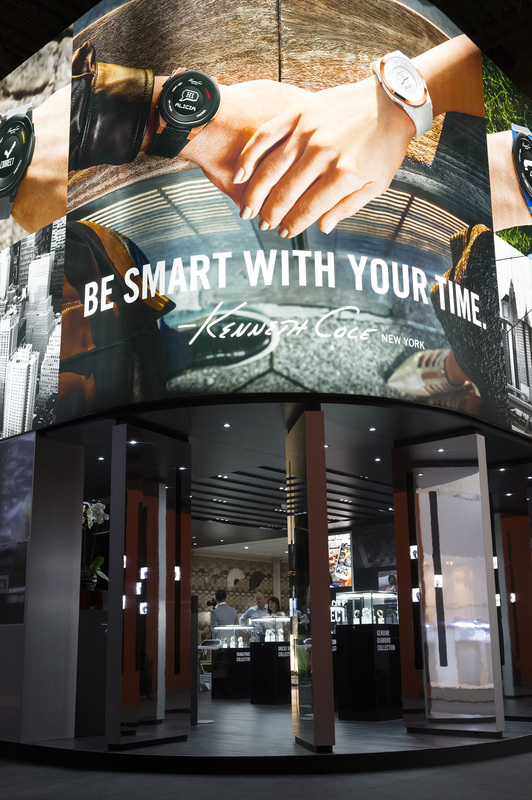 NEW YORK, March 26, 2015 /PRNewswire/ -- Kenneth Cole and Geneva Watch Group announce the launch of the new Kenneth Cole Connect™ Smart Watch Collection as wearable technology takes over the accessory market. The simple and stylish smart watches hit stores in April. 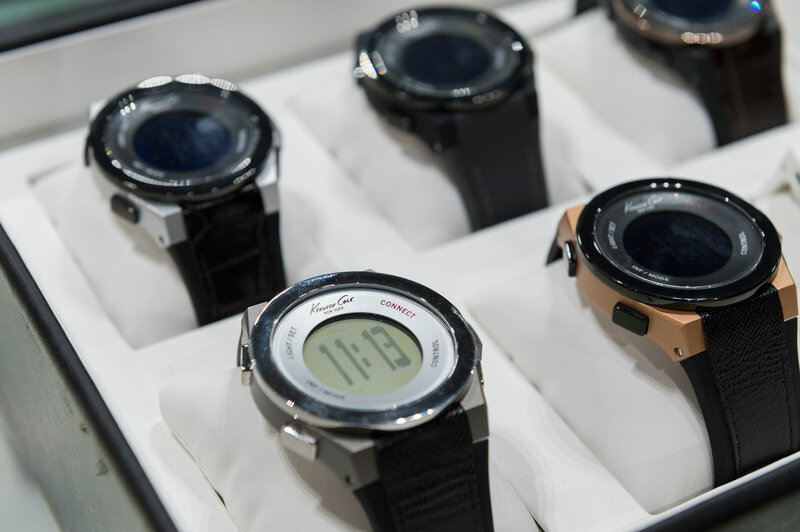 Kenneth Cole Connect™'s assortment of men's and women's smart watches was introduced in March at Baselworld, the international watch and jewelry trade show. Highlights included a photo booth where visitors showed off their favorite Kenneth Cole Connect™ watch and shared photos in real time over social media. The activation gained 13,127 impressions in three days. Kenneth Cole is leading the watch pack as one of the first fashion brands to enter the smrt watch market, starting at $135. Featuring Bluetooth smart technology, Kenneth Cole Connect™ comes in 12 styles containing app-enabled functionality that lets users stay discreetly connected via alerts for incoming calls, texts and calendar events. Buyers can control music on their smartphone remotely as well as take selfies longer than their arm. With the "selfie" trend growing rapidly, Kenneth Cole Connect™ allows wearers to control their smartphone's camera and take pictures straight from their wrists. Other features include a stopwatch, low battery phone alert, 3 ATM water resistance and "Don't Leave Me Alerts" that inform wearers when they are losing Bluetooth connection, so they will never lose their phone again. Further differentiating itself from other smart watches, Kenneth Cole Connect™ operates on a normal watch battery, so no charger is necessary. Kenneth Cole Productions, Inc. designs, sources, and markets handbags, apparel, and accessories under the names Kenneth Cole Collection, Kenneth Cole New York, Kenneth Cole Reaction, and Unlisted, as well as footwear under Gentle Souls. The Company has also granted third-party licenses for the production of men's, women's, and children's apparel among fragrances, watches, jewelry, eyewear, and other accessory categories. The Company's products are distributed through department stores, specialty stores, company-owned retail stores, and its e-commerce website. Further information can be found at KennethCole.com.